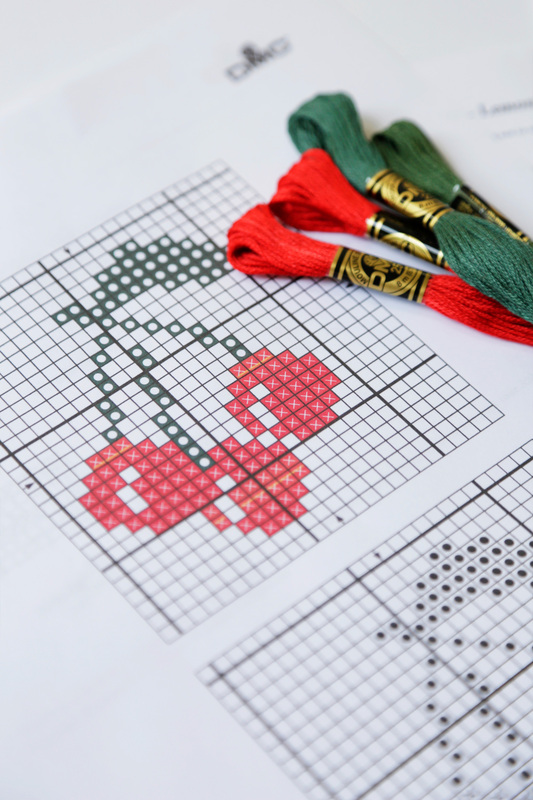 A Design Chart contains all the information you need to stitch your design. The chart lists what kind of thread to use, how many strands and the fabric type. A thread colour key shows you the symbols that correspond to each colour needed to stitch the design. The squares on the Design Chart correspond to the squares on the fabric, every square on the design chart that requires a stitch will contain a symbol. 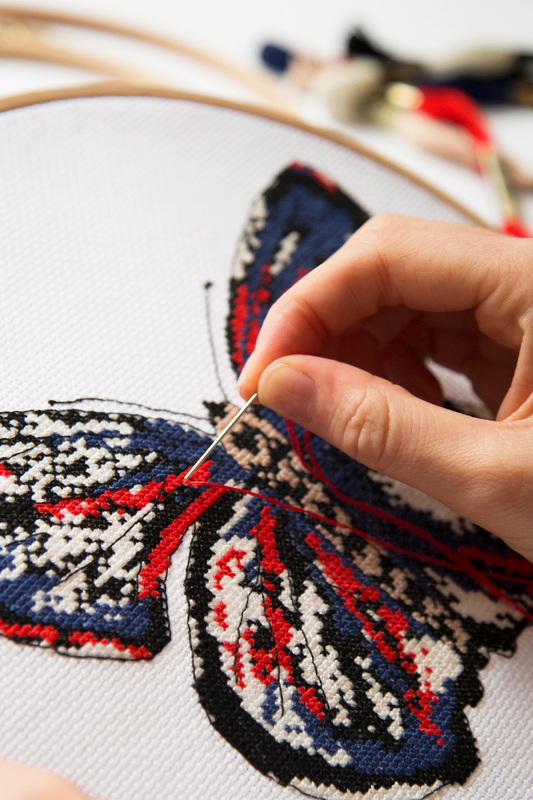 A Cross Stitch Pattern is a grid made up of tiny squares, each square on the grid represents a square of Aida fabric. Grid lines are usually darker in 10 x 10 sections to make reading the pattern, counting the stitches, and keeping your place much easier. Cross Stitch patterns also have arrows to indicate the centre of the design. It is important that you centralize your design. To find the centre of the design, follow the four arrows found on the outside edge of the chart. They will intersect at the middle point. Cross stitch charts can be in colour or black and white. The symbols on the chart will tell you if a cross is needed, or a fractional stitch is needed. Let’s go over what these symbols could look like. Cross Stitch: A full cross stitch is required if the symbol takes up the entire square or if the whole square is filled with a colour. Half Stitch: In a colour chart the stitch would be represented as half of a square. In a black and white chart a diagonal slash going from one edge to the opposite edge is often used. Three Quarter Stitches: In a colour chart the stitch would be represented as a triangle. In a black and white chart a miniature symbol is frequently used. Quarter Stitch: In a colour chart the stitch would be represented as a diagonal line coming halfway to the centre of the square. In a black and white chart the stitch would be represented as a miniature symbol coming to the centre of the square. Sometimes two small symbols in one square indicate that two quarter stitches, in different colours, are needed in that square of Aida fabric.